We’re going exploring in our own backyard to meet a gorgeous snake who farmers love to have in their fields. 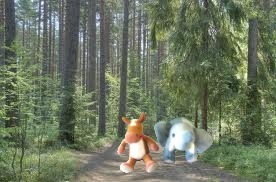 So let’s grab a camera, backpack and a walking stick and head out of on today’s adventure! 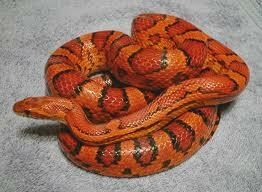 Corn snakes coloration varies depending on where they live. They are a member of the rat snake family. 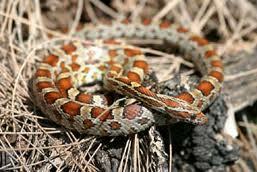 Corn snakes shake their tales when they are threatened. They have special ridges that help them climb up walls and trees. Corn snakes are often seen to be very helpful on farms, because they are constrictors and help keep the rodent population down. We love it when people and humans can live together! I like corn. Not sure about corn snakes…. Sometimes, Mom lets me lick the corn cob when she eats corn. I wish I could eat the whole cob. 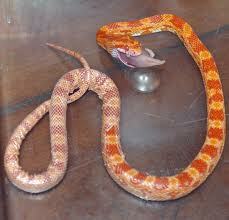 Hehe- corn is delicious- corn snakes not so much!